In a display typically reserved for midnight premieres or Black Friday, a line began forming at daybreak. Some savvy veterans of Clean Sweep even brought collapsible chairs with them, waiting out the line in relative comfort. 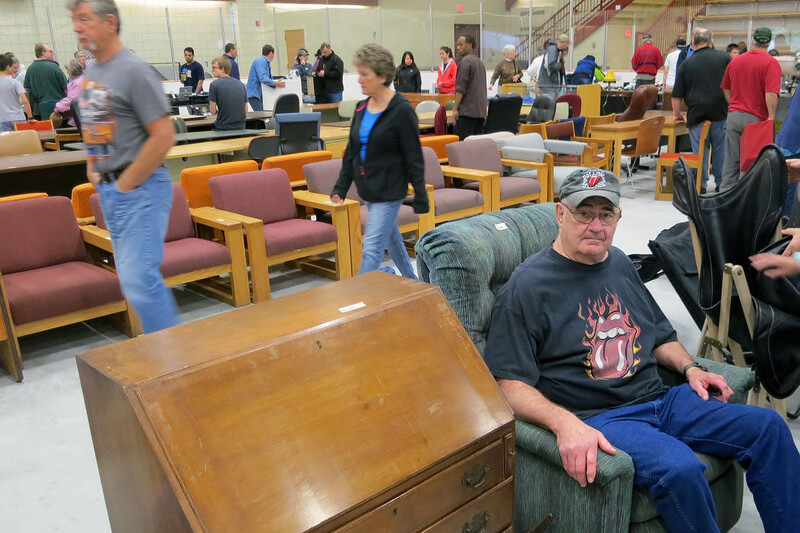 It would be hours before the Underhill Arena doors officially opened, but Bates’ 14th annual “garage sale” was certainly worth the wait. 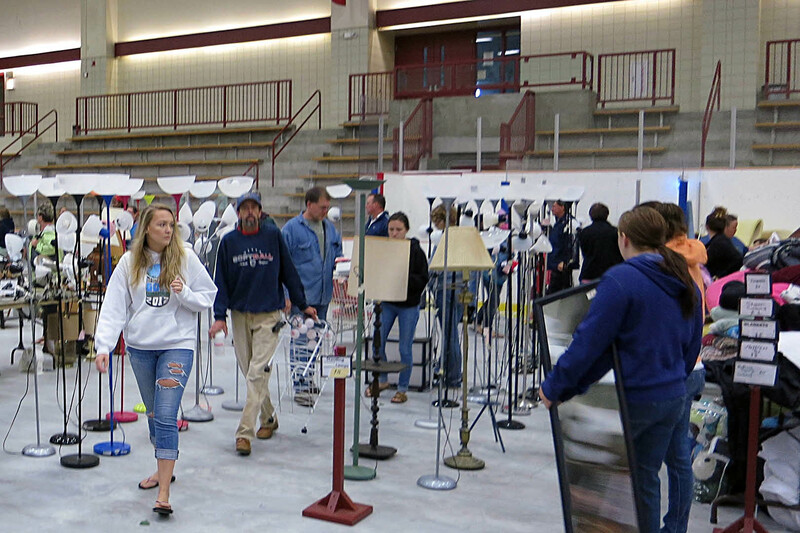 Hundreds of items donated by the Bates community in order to keep them out of the waste stream translated into great deals for the Lewiston-Auburn community, and some $22,000 for participating nonprofits. As customers in line discussed their hopes for the event, snippets of conversation concerning refrigerators, sound systems and Tupperware could be overheard. Gina Thompson of Sabattus was particularly looking forward to the “goodie bags,” $4 plastic bags filled with a variety of small items. Thibodeau had a point. By 7:30 a.m. the line stretched from Underhill to the landmark Bobcat statue near Leahey Field — then nearly doubled its length in the next half-hour. 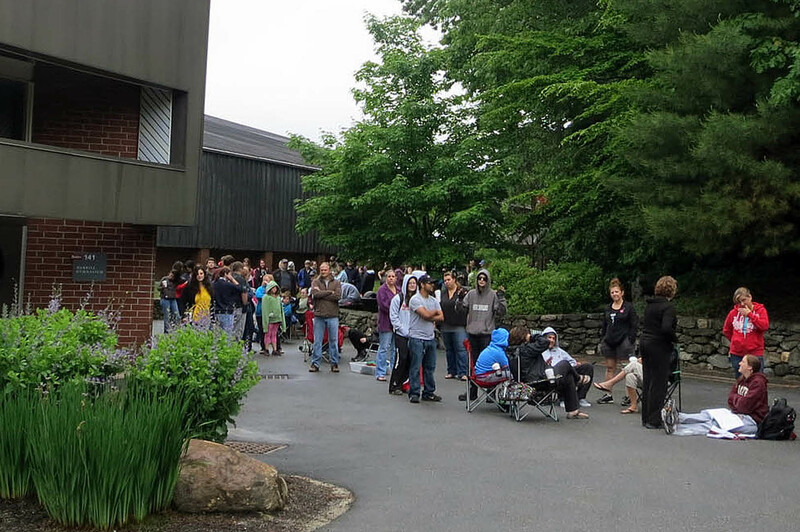 When the doors finally opened, there were cheers as the crowd poured into Underhill. The selection of sale items was baffling at first, with areas dedicated to shoes, pillows, glassware, printers, a forest of lamps and enough books to outfit a library, among a menagerie of other pieces. The section was perhaps the most competitively priced — small couches and futons cost as little as $15, with larger items similarly affordable. These deals attracted plenty of attention, and many tired shoppers took a minute or two to test the comfort of a chair or futon. Furniture requiring extra effort to move, Clean Sweep offered customers the opportunity to reserve pieces for up to an hour, allowing time to arrange for transportation. After taking in this sight, many would look down and realize that the floor itself was on sale! The ground was lined with an eclectic variety of rugs, each with its own handwritten price tag. Opinions about the event, produced by the college’s Office of Sustainability Initiatives, seemed overwhelmingly positive. Auburn resident Debbie Mansur observed that Clean Sweep is a “good opportunity to give back to community programs,” while Keagan Cody, Lewiston, said only, “These swords are awesome!” about his swashbuckling find of three foam cutlasses. Clean Sweep clearly has a wide appeal! 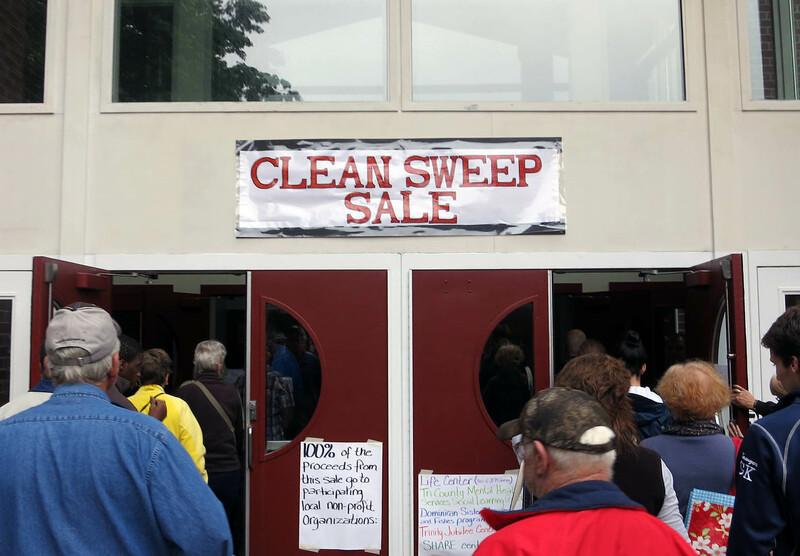 Between reducing waste, supporting these charitable endeavors and creating a positive relationship between Bates and local residents that lasts through the years, it’s not at all surprising that next year Clean Sweep will be celebrating its 15th anniversary.